Mukesh Ambani says Jio won’t be free after 31st March 2017. Means you have to pay for Jio services. Today Jio launched Prime Subscription plan for their existing users. To opt for the prime subscription, you have to pay Rs 99 for one year. After getting the Jio prime membership, you have to recharge with Rs 303 per month for the next 12 months which will offer you 30GB 4G data monthly with free voice calling. Read the full article to know more. 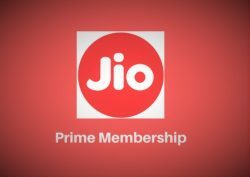 Now Jio prime members can continue to enjoy unlimited benefits of Jio for 12 months until 31st March 2018. You need to recharge with Rs 303 every month to avail unlimited benefits. After that, you will get 1GB 4G data daily plus free voice calling like Happy New Year Offer. Means you are getting 30GB data at just Rs 303, effectively just Rs 10 per day. If you are an existing customer of Jio, then you can enrol for Jio Prime membership by paying one-time fee Rs 99 for one year. You will be able to become a Jio prime member from 1st March to 31st March 2017. Note: You will see “Jio Prime” option on Jio’s official website or App from 1st March 2017. Now, pay Rs 99 using your Jio money wallet or debit/ credit cards or Net banking. That’s it; Now you are a Jio prime member. Jio Prime membership program is valid for those customers who join Jio on or before 15th April 2017. Customers who don’t join Jio Prime membership; they can make voice calls for free and without any roaming charges. Now you can earn cashback upto Rs.50 when you recharge with Rs.99. You can earn cashback from Paytm, Freecharge, Mobikwik, PhonePe and Jio Money App on your Jio recharge. We have explained offer details in a separate article, you must check Jio coupons and Offers 2017. If you don’t opt for a prime member, then your Jio sim will be ported to postpaid or prepaid plan and you need to choose any Jio Plan available on their official website, or You can check Jio plans from here. Yes, I want jio membership. Go ahead Idrishi, buy Rs 99 membership plan from your myjio app.